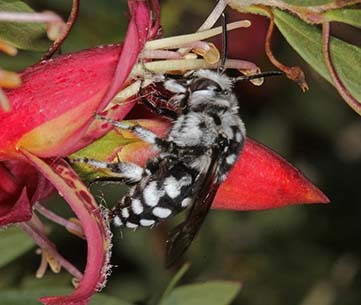 Native bees are a vital part of the Australian bush and are important pollinators of Australia’s unique flora. 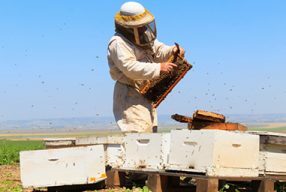 Australia’s honey bee researchers acknowledge that despite best efforts, Australia is unlikely to remain free from Varroa. 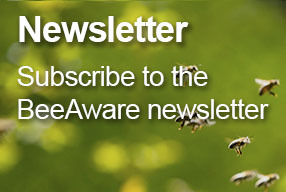 Growth in demand from crop industries after the establishment and spread of Varroa, and other exotic honey bee pests is likely to stimulate the growth of the native bee pollination sector. One of the major reasons for this expected demand is because it is believed that native bees will not be affected by exotic honey bee pests such as Varroa mite. There is already a small, but established, managed stingless bee industry in New South Wales and Queensland that provides commercial crop pollination services. The industry is based on the management of the social Australian native bees Tetragonula carbonaria, T. hockingsi and Austroplebeia australis. It mainly services the macadamia, lychee, watermelon, blueberry, mango and avocado industries. 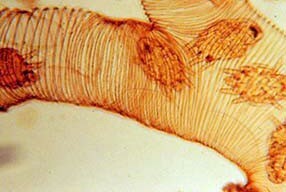 However, with further research, it may be shown that they are useful pollinators of other crops. 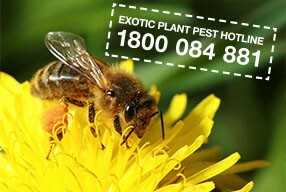 For more information about crop pollination with native bees, and pollination services visit the Aussie Bee website. One of the major benefits of some native bees when compared to the European honey bee is the ability of some species to ‘buzz pollinate’ crops. Blue-banded bees (Amegilla spp.) are Australian native buzz pollinators that have been shown to effectively pollinate glasshouse tomatoes. This specialised process involves bees transferring vibrations through their body via rapid contraction of their indirect flight muscles, releasing pollen. Buzz pollination is critical for the production of some fruits. Further research may also demonstrate a usefulness of native buzz pollinating bees in other field-grown, or other glasshouse crops such as melons, pumpkins, capsicums, chillies and eggplants. Each female bee creates her own nest. Depending on the species, this may involve tunnelling a hole in the ground, hollowing out the soft central pith of stems or exploiting pre-existing abandoned borer holes in timber. She typically lays one egg per cell, provisioning each with pollen and nectar. She then seals it, leaving them to fend for themselves as she usually dies before her offspring emerge from the nest when they have developed into adults. Female solitary bees are able to sting, but are rarely aggressive. The blue-banded bee (Amegilla sp.) is a common solitary native bee. These bees nest in shallow burrows in the soil under houses, mud bricks or soft mortar. Blue-banded bees have been shown in repeated studies to be effective buzz pollinators, which are critical to the pollination of many crops, such as tomatoes. For more information on blue-banded bees, see a story published by the Australian Geographic. 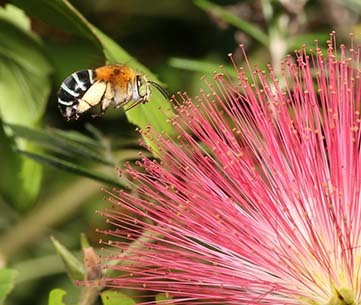 Australia has around 10 species of social native bees. 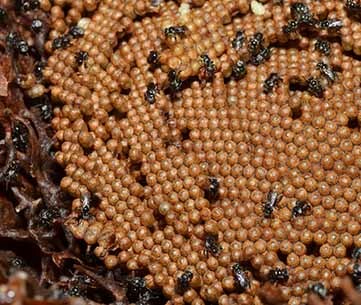 Social native bees are generally small (4mm), black and stingless. 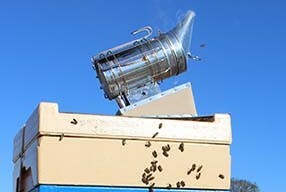 They live in colonies and nests, just like social European honey bees. However, they have a different nest and brood structure, the population of the colony is much smaller than European honey bees, and they produce very little honey (less than 1kg a year). This honey has a more acidic taste compared to that produced by European honey bees. Stingless bees are mainly tropical, so they tend to thrive in warm areas of Australia. The native honey bee (Tetragonula carbonaria) is a stingless social bee endemic to Australia. It is a significant species economically as they are important pollinators of many tropical crops, such as macadamias, mango and watermelons. Tetragonula carbonaria is found in Coastal Queensland and as far south as Bega in NSW.